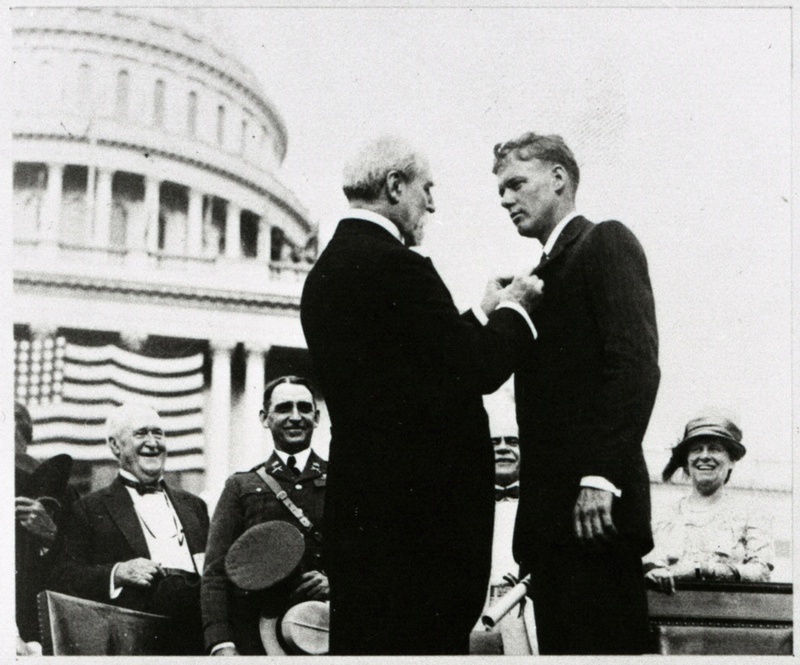 On May 21, 1927, Charles A. Lindbergh completed the first solo, nonstop transatlantic flight in history, flying his Spirit of St. Louis from Long Island, New York, to Paris, France. 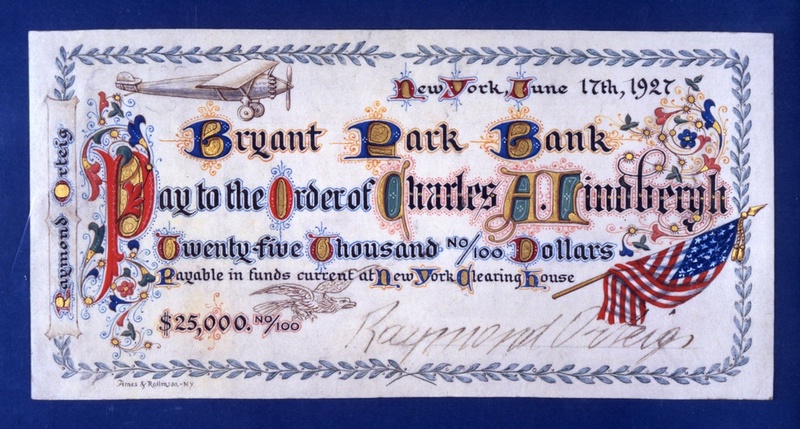 In 1919 New York hotel owner Raymond Orteig offered a $25,000 prize for the completion of the first nonstop flight between New York and Paris. 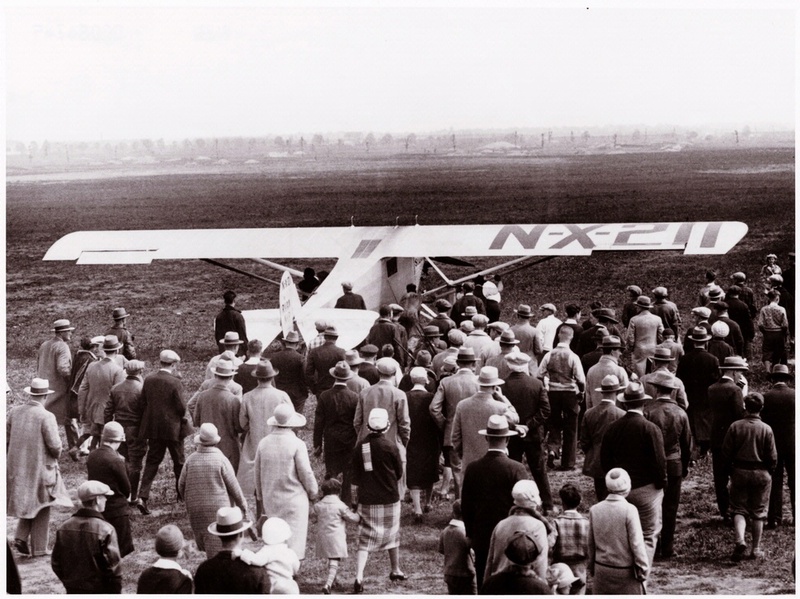 Early in 1927, Charles Lindbergh obtained the backing of nine St. Louis investors to compete for the prize. 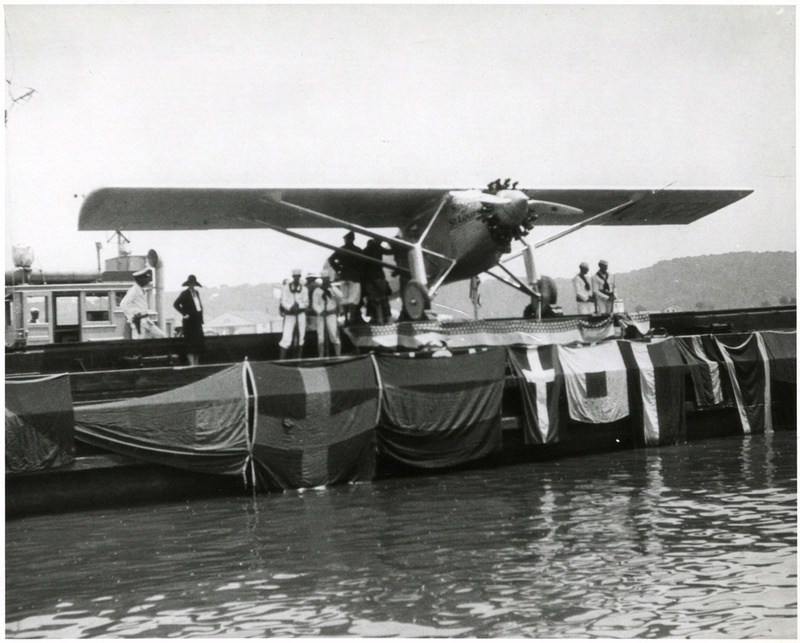 Lindbergh contacted Ryan Airlines in San Diego to build an airplane for the flight. 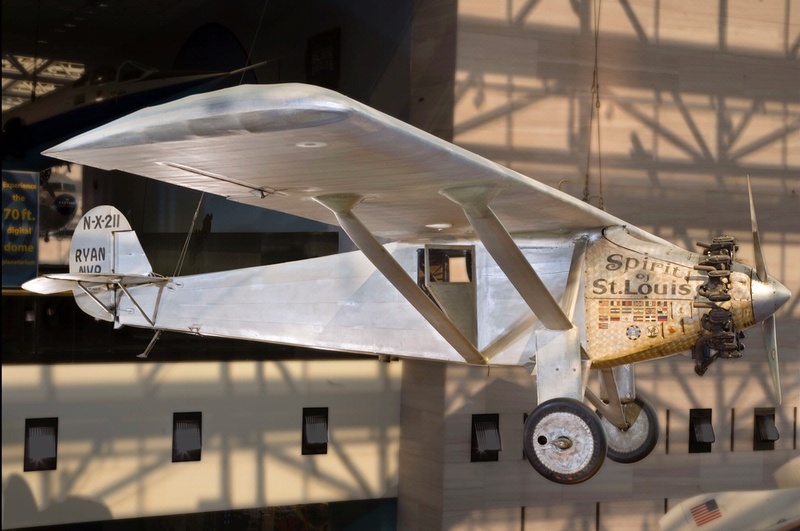 To honor his supporters, he named it the Spirit of St. Louis. 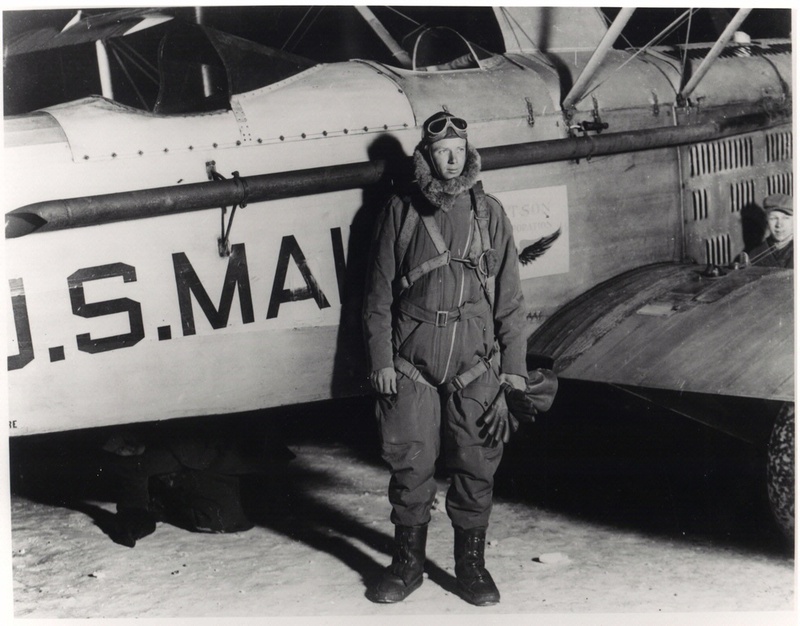 When he successfully reached Paris, Lindbergh became a world hero who would remain in the public eye for decades. 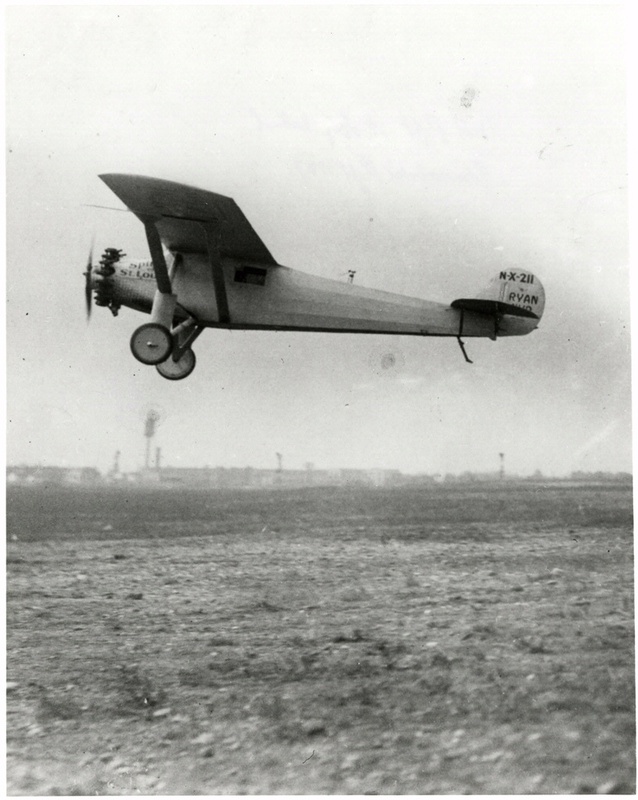 His flight touched off the “Lindbergh boom” in aviation—aircraft industry stocks rose in value, and interest in flying skyrocketed. 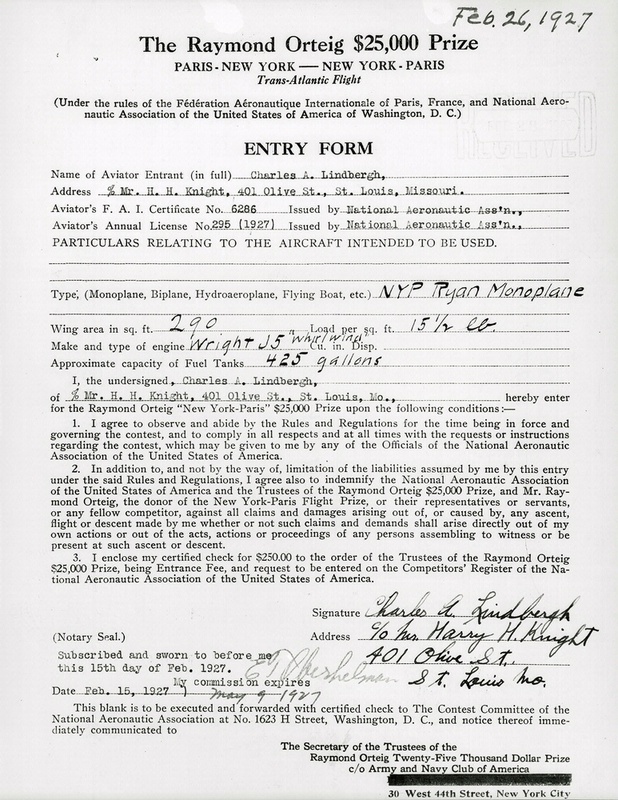 A photocopy of the Orteig Prize check awarded to Lindbergh. 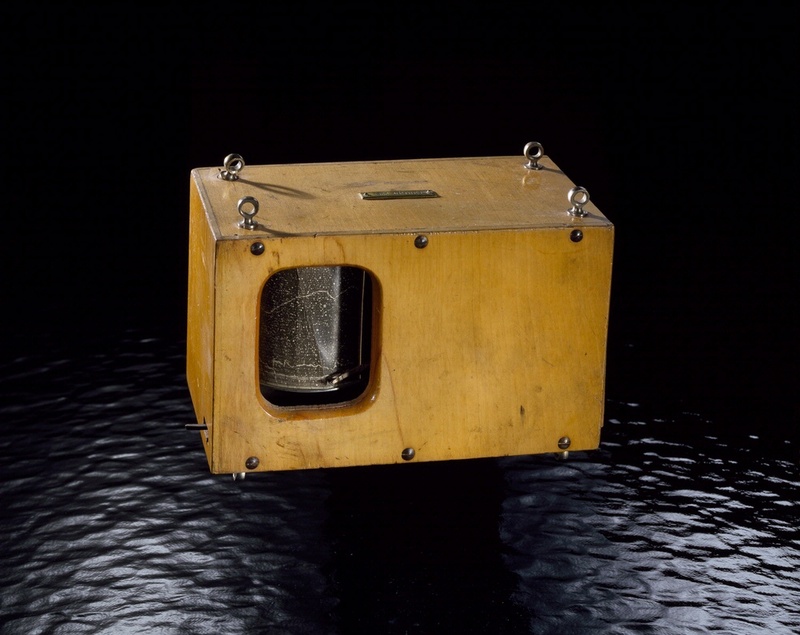 The original is preserved in the National Air and Space Museum collections.